Grant Twiggy Baker is the champion of the Nazare Challenge after a risk-taking blast of big wave surfing in huge Nazare today in the first event of the WSL Big Wave Tour, writes Spike. The WSL Big Wave Tour (BWT) has issued a Green Alert for the Nazaré Challenge in Nazaré, Portugal to run tomorrow as a dik WNW swell heads for the region. Twiggy is on the way. The Wavescape Surf and Ocean Festival has partnered with a unique project this year: the biggest collection of big wave surfboards seen in South Africa under one roof, writes Spike. This odyssey involves a surfboard belonging to a young man called Odd that was lost at sea south of Cape Town, only to be found three months later ... in Namibia. Dougal Paterson tells the story. Pull into the Spike Swell & Ocean Course on Thursday 22 November at the Sports Science Institute in Newlands, Cape Town. Spike returns for a new edition of his fascinating audio-visual lecture. The Wavescape Surf & Ocean Festival 2018 has announced a focus on big waves while welcoming Cape Town craft beer company Jack Black as their headline partner for 2018. 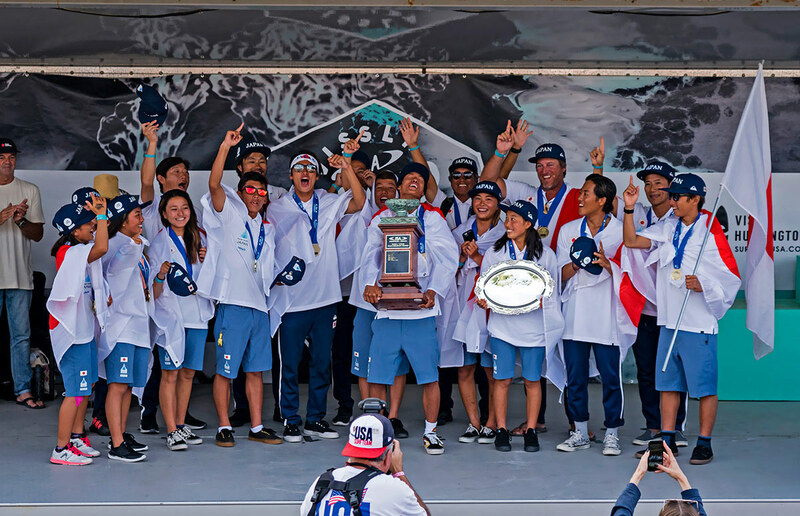 It's all happening for Japan two years from the Tokyo Olympics with their first team gold medal at the world juniors, while SA's Luke Slijpen scooped a bronze in the U18 boys. A welcome record has just been broken in Hawaii, with four South Africans reaching the last 16 of the HIC Pro presented by Vans in Hawaii, and two of them making the final. Carnage has been spreading up the East Coast today as a howling SW gale furiously manifests a 10 metre swell and dangerous seas. Batten the hatches, if you haven't already, writes Spike. Read more: Shiver me Britches! The concept of being forced to surf like an adaptive surfer saves you from your unabled self, discovers Spike during a busy and bustling media day held in Muizenberg on the weekend.